COOKEVILLE – An investigation by Special Agents with the Tennessee Bureau of Investigation, the Cumberland County Sheriff’s Department, the 13th Judicial District Attorney General’s Office and the Tennessee Highway Patrol has resulted in the arrest of a second person charged in a Cumberland County homicide. At the request of 13th District Attorney General Bryant Dunaway, on January 19th, TBI Agents joined investigators from Cumberland County and the District Attorney’s Office in investigating a shooting that occurred that night at a home on Cherokee Trail in Crossville. A resident of the home, Linda Damewood (DOB 06/13/1944), died as a result of her injuries. During the course of the investigation, law enforcement officers identified Kirk Clark, an acquaintance of the victim, as an individual responsible for her death. He was arrested January 22nd and charged with First Degree Murder. As the investigation progressed, officers developed information that indicated Clark’s wife, Doneal Clark, was also responsible for the homicide. On Tuesday, Doneal Clark (DOB 08/24/1983) was arrested and charged with one count of First Degree Murder. 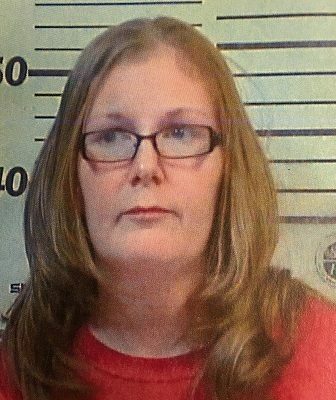 She was booked into the Cumberland County Jail, and has a $2,000,000 bond.